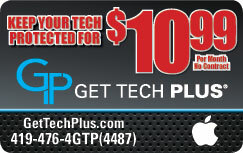 Get Tech Plus is in business to add value to your money. We offer many services in one store at very competitive prices to save you money and our business core is in IT repair, troubleshooting your Android and Apple devices, computers, servers, laptop ,and networking security. When you send your device or equipment in to be repaired , the companies don’t send your device or equipment back. They send someone else’s refurbished phone or equipment to you; not yours. And the prices they charge! …. All to discourage you from having your equipment repaired. to make you buy a new phone or equipment. Phones or Equipment aren’t simple purchases anymore, they’re investments. That is why here at Get Tech Plus we don’t outsource our work to second or third parties; all our work is done in our stores. 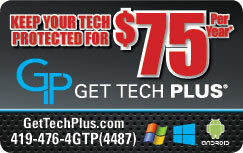 Why buy Get Tech Plus’ Tech Protection Plan? 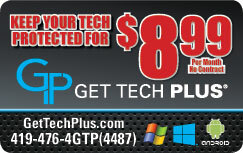 Our Tech Protection Plan is good for unexpected expenses to save you money and enable you to stay in budget especially in today’s economy and also in today’s technology with a growing number of gadgets that our life style depends on from computers, laptops, iPods, iPads, iPhones, cell phones, routers, video game systems, and much more. 1. You don’t have to pay for labor only for parts for your device or equipment. 2. You will be paying on parts that are trending in real time so you can be assured that you getting the best price. 3. You are in control of your money because we will give a choice on used, refurbished or new parts. 4. Plans are upgradeable and transferable. 5. For these expensive parts on newer device or equipment you can replenish your account for credits for this unexpected expense . 6. Unlimited claims on your device or equipment gives buyers a piece mind when buying/selling a used device or equipment. 7. We believe our prepaid tech card will be a great gift to help people stay connected. What if the problem isn’t fixed? It is extremely rare that our technicians encounter a problem that they cannot repair. You will never be charged if our technician is unable to correct or fix your computer’s problem. The balance on your Get Tech Plus account monthly or yearly plans will be refunded. How many claims are allowed per year? Unlimited claims are allowed per year per device, please note, your account has to be good standing. Can you come to my home or office if I am in need of onsite support? Yes! 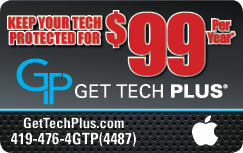 Contact one of our technicians at 419-476-4GTP(4487) for details regarding onsite support. Please note (When available) there will be a surcharge and additional price for this service and that is not included on The Get Tech Plus pre-paid monthly or yearly plans.